Women are more prone to concussions than men, experts say. When we hear the word “concussion,” we think of injuries sustained on the football field or what occurs when a rider catapults over their handlebars during the Tour de France while descending a particularly steep slope. 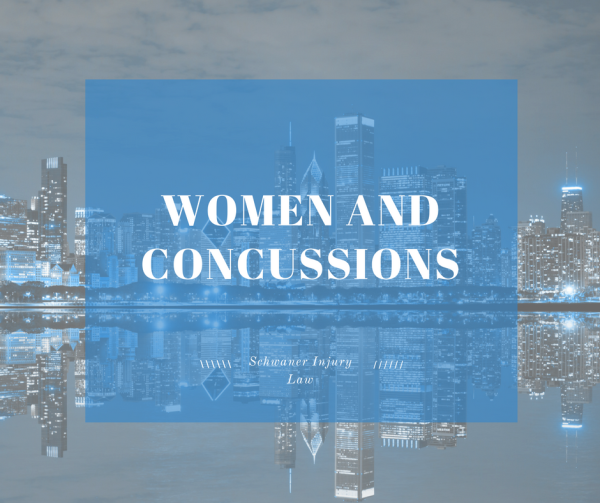 While focus on traumatic brain injury has primarily focused on men, it turns out that women are more likely to sustain concussions than men. Even more troubling, because so much attention has been paid to men and concussions – think football-related injuries – women usually don’t realize they have a concussion after they sustain a head injury, according to the results of a new, troubling, study. From 2001 to 2010, emergency room visits for women with traumatic brain injuries almost doubled, according to the Centers for Disease Control and Prevention. 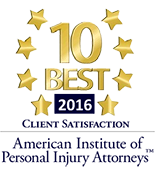 While sports injuries played a part, falls, car crashes, blunt trauma and assaults were also causes. Unfortunately, part of those statistics is traumatic brain injuries associated with domestic abuse. According to a recent article in Health magazine, at least 60 percent of women who are in abusive relationships sustain head injuries as a result. The statistics, from a study appearing in the journal Family & Community Health, suggest that the numbers are more serious than previously reported. Past studies from the American Psychological Association found that 35 percent of women seeking emergency care related to domestic violence had symptoms of traumatic brain injury or concussion. But domestic violence is only one of the reasons why women are more likely to sustain a concussion. While men get all the attention, sports fields are more dangerous for women when it comes to head injuries. 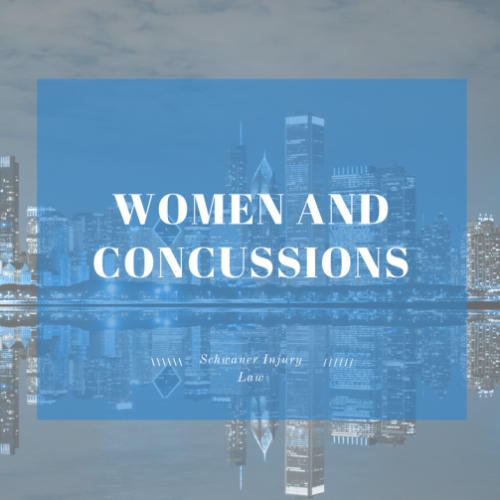 In fact, according to Dr. Jeffrey Bazarian, a concussion specialist at the University of Rochester in New York, when men and women are playing the same sport, women experience concussion at “a significantly higher” rate than men, he told the magazine. Bazarian was also involved in the study. In soccer, women are almost twice as likely to sustain a concussion as men. On the basketball court, women have almost a 1.5 percent higher risk of concussion than men. When it comes to baseball/softball, women are more than twice as likely to experience a concussion as men. Swimming and diving were the only sports where men’s concussion rate exceeded that of women. According to Bazarian, who also serves as a professor of emergency medicine and physical medicine and rehabilitation at the university, women’s symptoms not only tend to last longer when the head injury initially occurs, their recovery period is also longer, putting them at a higher risk of sustaining a second injury. While some injury symptoms such as headaches, dizziness and trouble with concentration were similar for both men and women, women had more symptoms such as sensitivity to light and noise as well as nausea – two of the main symptoms associated with migraines, which could cause women to ignore concussion symptoms –and drowsiness. Hormones could play a role, said Bazarian, because hormonal fluctuations can exacerbate symptoms. If a women experiences a head injury during the part of her menstrual cycle when progesterone levels are high, “usually two weeks before her period,” he said, the pituitary gland responsible for control hormones shuts down the production of progesterone, and levels drop. Because this particular hormone promotes brain cell growth and calms the brain, those low levels worsen post-concussion symptoms. Those hormonal fluctuations are also responsible for slower healing, experts said. Hormones present another reason why women may ignore the injury altogether. Low levels of estrogen are also associated with migraines, so a woman who traditional experiences these types of headaches when estrogen levels are low may not recognize a headache that is instead associated with a concussion. Other factors could be neck strength, which tends to be lower for women than for men, since it rarely gets the focus it needs during workout routines designed for women. “That’s a mistake, because neck strength protects against concussion,” says Dr. Robert Cantu, medical director and director of clinical research at the concussion center bearing his name at Emerson Hospital in Concord, Mass. A weaker neck increases the risk of whiplash, said Cantu, because there is not a stable base for the brain, and it will move around the skull faster upon impact. A 2011 study focusing on women and concussions revealed the same findings. A 2011 study had the same results, Dawn Comstock, associate professor of epidemiology at the Colorado School of Public Health, told Time magazine. “Neck strengthen has strong potential,” as a way to help women prevent concussion-related injuries, Comstock said. According to the March 9 article in Scientific American, retired soccer star Brandi Chastain – perhaps best known for tearing off her top in her enthusiasm over her team’s win over China at the 1999 FIFA Women’s World Cup Final – agreed to donate her brain to concussion research after her death, joining numerous football stars who also wanted to raise awareness of concussion risks associated with sports. But understanding women and concussions shouldn’t have to wait for that. Because of the higher risk factors, women should focus on safety, including doing exercises that help decrease risk factors, including improving balance to prevent falls – more than 40 percent of TBIs are associated with falls – and building up neck strength to prevent against concussion in a motor vehicle accident, which accounts for almost 15 percent of all head injuries.